« Thulirkal – Fashion Trendsetter, Kishanth Raveendran! 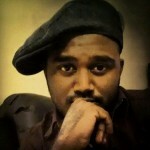 Tamil people have a distinct culture and identity that sets them apart from the Sinhala population. The language, culture and ancestry all indicate that the Tamil people are different in many ways and this distinction from the Sinhalese on the island gives them the inherent right to identify themselves as an Eelam Tamil nation. This is also equally applicable to the Sinhala nation because they too have a unique language, culture and ancestry but the problem is that the majority Sinhala population on the basis of Sinhala Chauvinism reject the nationhood of the Eelam Tamils. Before the period of 1972 (before the Sri Lankan state came into existence), Tamil nationhood was rejected by the ruling Sinhala regime regardless of the party. Tamil votes were used as “swing votes” by each party to sway election results. Every time a party forms an electoral platform, they promise the Tamils some form of negligible form of rights and out rightly deny it when they come to power. 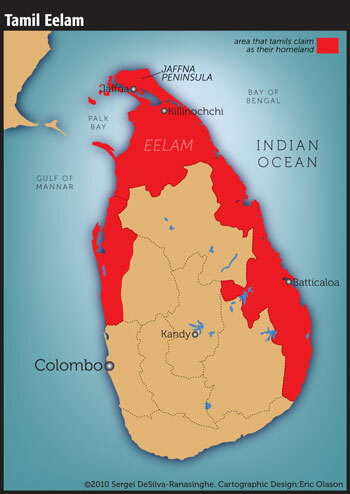 Some of the examples include the Bandaranaike-Chelvanayakam pact and Dudley-Chelva pact indicating that the common goal of the Sinhala nation is to deny the nationhood of Eelam Tamils. Even the Sinhala only act eliminates the possibility of the Tamil language as the official language in the island denying the unique cultural identity of the Tamils. The citizenship act also had a significant impact on the nationhood of Eelam Tamils where hundreds and thousands of Tamils were deported and denied their birthright. This again shows the brutality of Sinhala chauvinism that exists to spread and clasp the Sinhala nation while destroying and repeatedly denying the nationhood for Eelam Tamils. The homeland of the Tamils has always existed there even before the arrival of the Sinhalese people. Various historical artifacts indicate the presence of the Tamils on the island way before the arrival of the Sinhalese from the eastern part of India (now known as Orissa). The Sinhala language is based on the Pali script, which again traces back to Orissa. Historical evidences and even the fiction based historical religious scripture Mahavamsa use this as the backdrop to narrate the story of their king Vijaya. Time, trade, wars and colonization slowly changed the demographics within the island and today we see the natives Tamils of the island restricted to the north and east. 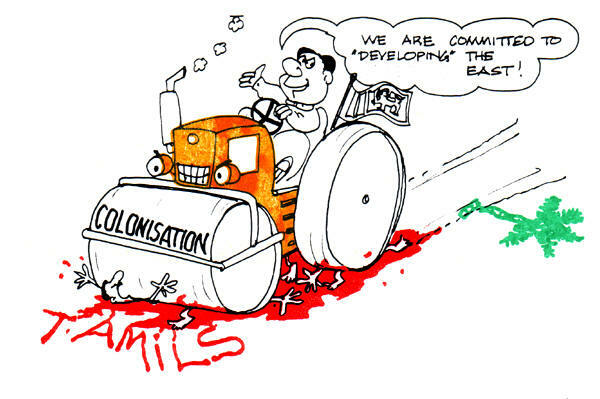 This has rapidly been changing post-2009 colonization where Sinhala settlements were rapidly laid out in Tamil areas and expanded virulently within the Tamil homelands. There were places where the Sinhala population was nearly zero and today constitutes more than 50% of the area (in some cases, entire towns were completely colonized). When the numbers of non-Tamils increase in this area (while the Tamil population is removed), it slowly dismantles the inherent birthright of the Tamils to their homelands. This helps the Sri Lankan state to successfully build a case denying the rights of Tamil people to their homeland and the entire island belongs to the Sinhala people and Tamils are nothing more than migrants to the island. Self-determination is a human-right enshrined in the Universal declaration of human rights. Yet, globally it is a highly political term that has spurred wars and swayed diplomacy among states. Self-determination refers to the political autonomy of a group of people. Simply put, the political solution for the Eelam Tamil nation should come from the Eelam Tamil people. The Sinhala nation has also successfully denied the right to self-determination of the Tamils for more than a decade. In fact, before 1972, the state of Ceylon under the soulbury constitution gave some space for the people to express their right to self-determination but the formation of the Sri Lankan state out-rightly rejects the right to self-determination of Eelam Tamils. The formation of the Sri Lankan state was a precisely calculated measure taken by the chauvinist Sinhala leaders, which effectively denies and destroys nationhood, the Tamil homeland and the right to self-determination of Eelam Tamils. In the previous article we looked into how this constitutes as genocide and if we let the Sri Lankan state continue with its genocidal strategies, the three principles will be successfully eliminated at least in the occupied homeland of Tamil Eelam. This is a real threat because as we speak, the Sri Lankan government is continually expanding its reach into the Tamil homelands completely colonizing what used to be the traditional homelands of our brothers and sisters. Buddhist Viharas are being built to destroy the existing culture of the Tamils. History is being re-engineered to favor the Sinhala people, wherever there is Tamil language, it is being replaced with the Sinhalese language. Militarization is there to stay to ensure that this process continues without any obstacles. The formation of provincial council which functions directly under the president is a toothless solution where the nationhood of the Tamils are rejected, right to self-determination and homeland denied in the name of one nation Sri Lanka. The constitution of Sri Lanka itself explicitly bounds itself to Sinhala chauvinism while completely ousting the existence of every other identity and reinforcing the one nation concept. Anyone that talks the contrary will be arrested in the name of breaching the sovereignty of the Sinhala exclusive Sri Lankan state. The democracy is exclusive to the Sinhala population where the Eelam Tamils are fodder to their genocidal chauvinistic ideology. This proves that the solution for the Tamils can never be achieved within the Sri Lankan state structure where everything is set to deny and destroy the nationhood, homeland and the right to self-determination of Eelam Tamils. The only theoretical solution that exists to reinforce the concept of “united Sri Lanka” is that the constitution needs to be rewritten from the ground up, the national flag created from the ground up, the name of the state itself created anew where all groups in the island are consulted and equal priority is given to all in every political process which is impossible and not a real world scenario. Therefore, the solution for Eelam Tamils where their nationhood, homeland and the right to self-determination will be recognized is outside the genocidal Sri Lankan state structure. This is key for the liberation struggle and as activists and Eelam Tamil people, we need to base our strategy and tactics with these three principles in mind. Disclaimer: All views and opinions expressed in this article are those of the author and do not necessarily reflect www.tamilyouth.ca’s views and opinions. Priyanth Nallaratnam is an Eelam Tamizh youth currently studying Public administration and Governance in the pursuit of finishing law school and attaining a J.D. This entry was posted on Sunday, February 15th, 2015 at 3:37 pm	and is filed under Speak Out. You can follow any responses to this entry through the RSS 2.0 feed. You can leave a response, or trackback from your own site.